If you’re thinking about driving for Uber, it can be hard to figure out how much money you’ll actually make. Gross fees per hour vary, and after Uber’s fees, ATO taxes and car expenses, will there ultimately be enough left to be worth your time? In this article we will break down how much Uber drivers earn on average, and help you estimate how much of your Uber earnings will actually end up in your pocket. Where you live – in particular whether you have trips coming through as soon as you leave home or you need to travel to a busier suburb first, which takes time out of your Uber shift. Where you drive – inner city areas tend to provide shorter trips, while further out you may end up with longer journeys and airport trips. Generally you won’t have a great deal of control over this. Where your trips take you in any given driving session is largely up to chance. Timing of your Uber shifts – whether you drive weekdays versus weekends, and day versus night will dramatically impact your earnings. Early in the morning airport trips will be common, and late at night you’ll have riders travelling from the the inner city home to the suburbs. 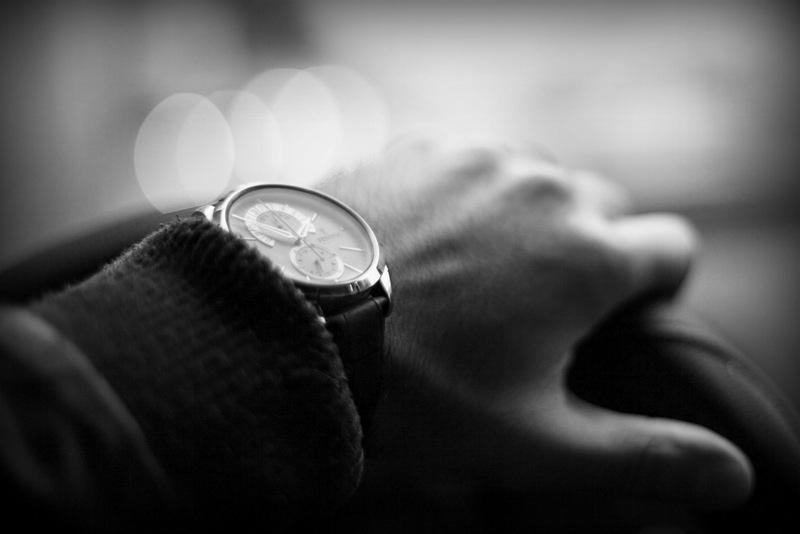 If you have the flexibility to choose when you drive you should experiment and keep records of your earnings to find the most profitable times and days to drive in your area. Surge pricing – if you have the ability to take advantage of surge periods you’ll see an increase in your hourly earnings. Some drivers are able to keep an eye on their app from home and jump in the car anytime they see surge pricing. In some areas Uber also allow you to request trips heading towards a surge area once or twice per day. These are just a few strategies that can boost your earnings. Events – Driving for events can be especially profitable and surge pricing is common. So if you’re available to drive for sporting matches and other cultural events in your city your average earnings will be higher. It can pay to save a ‘what’s on in your city’ website in your internet favourites, and also keep a copy of the football fixture handy when planning your driving sessions. 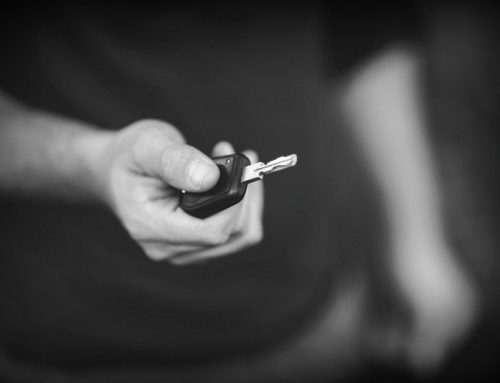 Other drivers – the number of drivers on the road will always counteract these factors. Some times are more popular to drive as more drivers are available, particularly outside of business/university hours, and so there will be fewer trips per driver. Some drivers have also commented that when Uber run promotions to recruit new drivers or encourage lapsed drivers back on the road they’ll see a drop in their earnings. 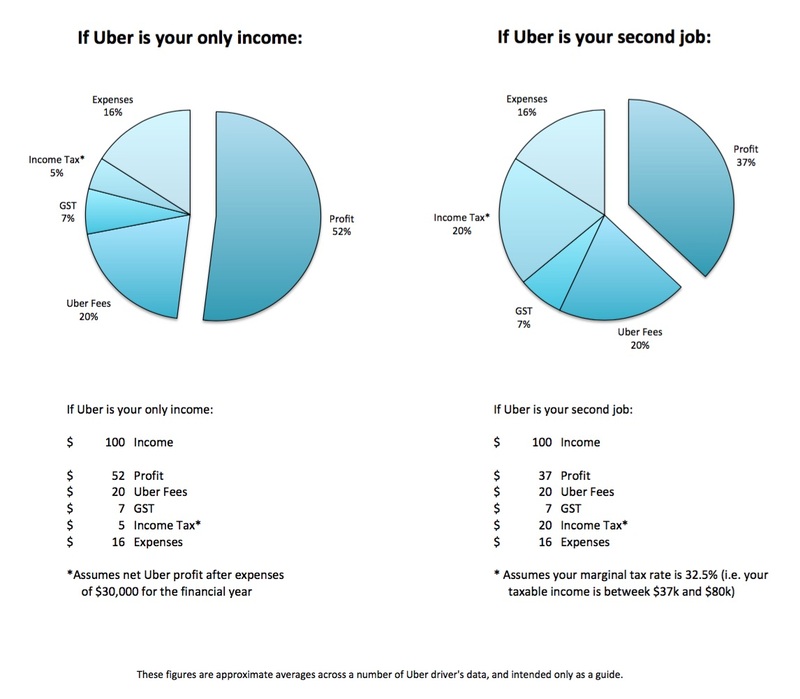 As you can see, with so many variables it’s hard to estimate how much you will earn driving for Uber. Your best source of information is the various Uber drivers’ online forums, where you can connect with drivers from your local area to find out the average earnings from driving for Uber at various times of day and night. A great place to start is UberPeople, but also try googling for other Uber networks and meetups in your city. We’ve collated data from lodging hundreds of Uber driver’s BAS’s and tax returns to calculate how much Uber drivers make on average in Australia. The charts below give a rough guide to how much of your Uber gross fares will actually end up in your pocket, depending on your marginal tax rate. 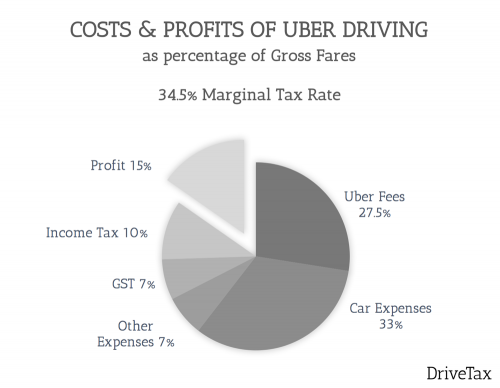 To work out your average hourly rate after tax from driving Uber, take your gross fares per hour and multiply by the percentage of profits in the chart that applies to you. If you’re below the tax free threshold then multiply your gross fares per hour by 26% to give your take home pay per hour after tax. If you’re in the 21% tax bracket, multiply your gross fares per hour by 19% to give your hourly take home salary after tax. If you’re in the 34.5% tax bracket, multiple your gross fares per hour by 15% to show how much you’ll earn per hour after tax driving for Uber. Another way to read these charts is to say that for every $100 of gross fares, the profit segment of the chart tells you how many dollars you’ll actually take home. If you’re below the tax free threshold then for every $100 of gross fares you’ll take home $26. If you’re in the 21% tax bracket then for every $100 of gross fares you’ll take home $19. If you’re in the 34.5% tax bracket then for every $100 of gross fares you’ll take home $15. Of course these charts are based on the results of other drivers, and your own figures, in particular your car running costs, may be different. So please use these percentages as a guide only. Here we’ll break down the other expense sections of the charts in a little more detail. From your gross fares Uber will deduct 27.5% for their service fee. 2.5% of this is GST, which you can claim back on your BAS at the end of each quarter, so the net cost to you is only 25%. You can read more about this in our blog post on calculating GST on Uber fares and fees. Car running costs for Uber drivers vary from driver to driver. 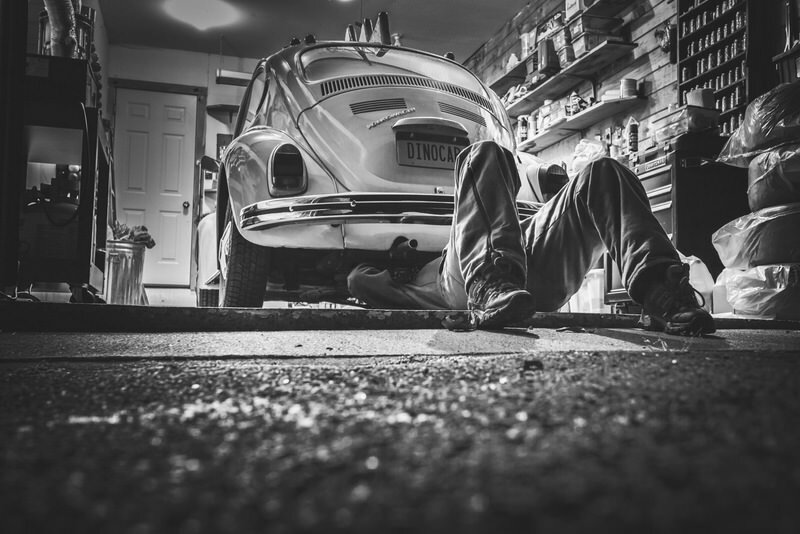 They depend on things like fuel efficiency, insurance costs in your area, how expensive repairs and servicing are for your model of car, and whether you own your car, have a loan, or you rent or lease. Claimable car expenses usually equate to roughly 33% of gross earnings (before deducting Uber’s fees). It’s important to note that some of these expenses are what we call ‘sunk costs’. This means that you would be paying these expenses regardless of whether you drive for Uber or not, so they shouldn’t be taken into account when evaluating how much money you’ll make from Uber driving. For example the interest on your car loan is payable regardless of how much or little you drive for Uber, so it’s a sunk cost. Most of your insurance and car registration fees will be sunk costs too, you should only take into account any additional costs over and above your regular private use policy. The 33% figure mentioned above is based on tax-deductible expenses, so it doesn’t consider sunk costs. This means your profit from driving for Uber will in reality be a little higher than what is shown in our figures. 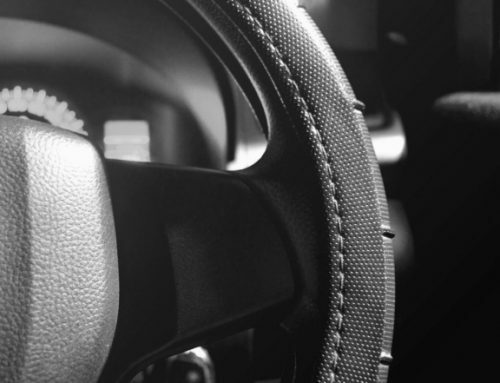 For more information on claiming your car running costs, including the rules and requirements for keeping a logbook, check out our post on Tax Deductions for Uber Drivers. Uber drivers typically also claim deductions for their mobile phone, tolls, water and mints provided to riders, accessories for their cars (dash cams, seat covers etc), phone chargers and cables, medical checks, accounting fees, stationery and computer expenses. On average these costs account for another 7% of your gross earnings. 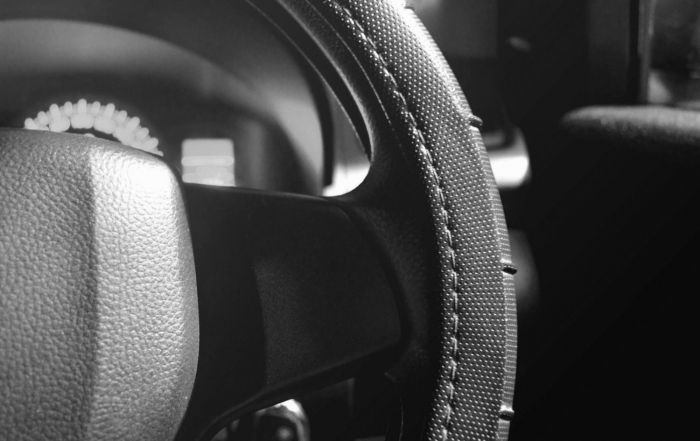 Our post on Tax Deductions for Uber Drivers explains more. Yes, Uber Drivers do have to pay GST on their income, even if they earn less than $75,000. 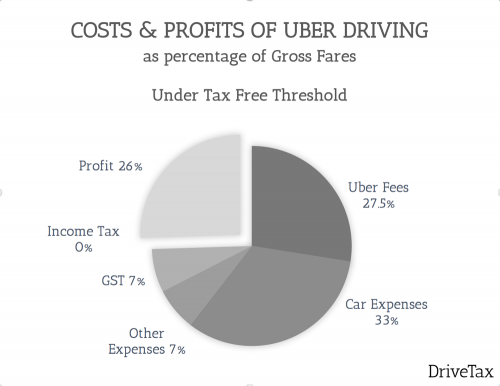 The GST on Uber income is easy to calculate, it will be 1/11th of your gross fares. You can then reduce this GST payable by claiming back the GST on your car and other expenses. Again, this varies from driver to driver. On average, after claiming expenses your GST bill will be around 7% of your gross fares. Our article on GST on Uber Fares & GST on Uber Fees explains more about how this is calculated. Income tax is the most difficult cost to calculate because it depends on your marginal tax rate. As we mentioned above your marginal tax rate is based on how much you make from employment and any other sources during the financial year. You can look up your marginal tax rate on the Tax Office website to see which of the charts above apply to you. If Uber is your only source of income and your Uber profits are under $18,200 then you’ll be under the tax-free threshold and your profits will be entirely tax-free. You should refer to the first chart above. If your Uber income straddles two marginal tax rates, the easiest solution is to assume your tax rate will be roughly halfway between the two relevant charts. So Is Uber Driving Really Worth It? That depends entirely on you. If the hourly rate you’ve calculated weighs up for you as a worthwhile use of your time, then yes, absolutely. One of the most appealing aspects of driving for Uber is the flexibility to work on your own schedule, as often or as little as you like. We have clients who are single parents and drive during school hours. They can attend school events whenever they like, and stay home when a child is sick without worrying about job security. We also look after a great number of students who fit Uber in around their classes and study schedule. And many of our drivers don’t drive regularly, instead just jumping on the road when their family needs a top-up of cash for a holiday, unexpected bill, or Christmas presents for the kids. What other job offers that kind of flexibility? The trade-off of course is that take-home pay tends to be lower than an employee job, with some drivers earning below minimum wage. The 7:30 Report recently ran a segment exploring this issue, you can watch it here. The segment features economist Jim Stanford who also published a detailed report on the topic. Ultimately, the question you need to ask yourself as a prospective Uber driver is whether the trade-off between lower wages versus complete flexibility is worthwhile for you. If you’ve decided that you’d like to get started driving for Uber, we can help. DriveTax can take care of all of your ATO registrations for free, and we’ll explain everything you need to manage GST and tax on your Uber income. Check out our post on the Seven Steps to Get you Uber Tax Obligations Sorted, our ultimate tax guide to getting started with Uber. Bonus: How to calculate your Tax and Profit from driving Uber? If the graphs above don’t quite match your circumstances and you’d like to work out a more exact figure for yourself, we’ve provided a sample calculation below to show how to work out your profit from driving Uber. GROSS FARES $1,000 These are the fares your passengers pay, before Uber deduct their Fees. Uber Fees $1,000 x 27.5% = $275 Uber deducts their 25% fee plus GST. Other Costs $1000 x 7% = $70 Other costs include your mobile phone, tolls, water and mints, accounting fees, licences and medical checks, and stationery. These generally add up to around 7% of Gross Fares. TOTAL EXPENSES $275 + $330 + $70 = $675 For $1000 in gross fares, Uber drivers average around $675 in expenses. GST on Income $1,000 / 11 = $91 The GST on your income is equal to your Gross Fares (before Uber deduct their fees) divided by 11. Less GST on Uber Fees $275 / 11 = $25 You can claim back the GST Uber charged you on their Fees, which means you ultimately only pay 25%. Less GST on Other Expenses $400 / 11 = $36 You can also claim back any GST you have paid on any other expenses. This includes fuel and other car running costs (but only the percentage that you use your car for Uber). GST PAYABLE $91 – $25 – $36 = $30 This is the amount you’ll pay to the ATO on your BAS at the end of the quarter. Income tax is paid at the end of the financial year on your tax return. Income tax is calculated on your GST-Exclusive income and expenses, so to calculate your taxable income and your tax bill, we must first work out your net profit from Uber excluding GST. Income excl GST $1,000 – $91 = $909 Your income in your tax return is your Gross Fares excluding GST. This means you don’t pay tax on the GST you gave to the ATO, only on the fares that were credited to you. Net Taxable Profit $909 – $614 = $295 Income minus expenses equals taxable profit. This is the amount you’ll pay income tax on. INCOME TAX PAYABLE $295 x MTR (let’s assume 21%) = $62 As mentioned earlier, your marginal tax rate depends on your taxable income from other sources. See above for how to work out your marginal tax rate. AFTER TAX PROFIT $233 This works out to be 23% of your Gross Fares. This is slightly higher than the 19% that we estimated in the charts above which is perfect because it allows for a small safety margin in the amount of tax we’ve advised to put aside. This blog post was first published in January 2016. 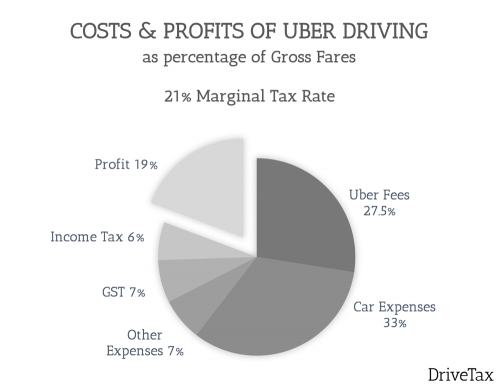 Back then, Uber fees were 20% with no GST payable, insurance companies hadn’t yet bumped up their insurance premiums for Uber drivers, and profit margins in general weren’t quite as tight as they are for Uber drivers today. For the sake of comparison, or just for nostalgia, we’ve kept our old profit comparison charts here. If I lease a car, how is the GST that I pay on the lease treated? Also can I use a portion of the lease as an expense in my income tax? Hi Ian, assuming you’re paying the lease yourself directly, you can claim a percentage of the GST back on your BAS’s, based on the percentage you’re using your car for Uber. The remainder (the GST exclusive portion) can be claimed as a tax deduction, provided you’ve kept a logbook to determine your deductible percentage. 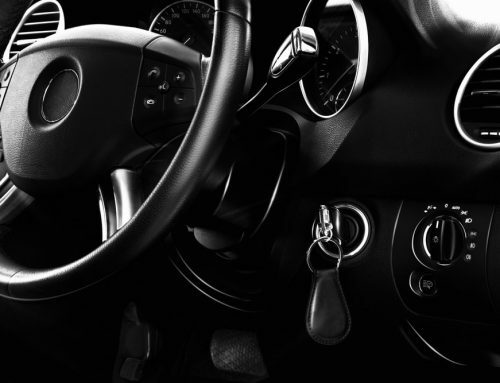 Note that if your leased vehicle is salary packaged from your employer the answer is different. Your employer would likely already be claiming the GST credits, and you couldn’t claim a tax deduction because you’re already getting the tax benefit by way of your salary packaging. If you need more detail on this Ian, feel free to email! Are all these expenses deductible? These calculations use an average of all types of expenses incurred by Uber drivers, including accounting fees. Your calculation of fees is absolutely correct. The GST can be claimed back in your BAS’s ($682 / 11 = $62 in GST), leaving a net cost of $620 which you would claim on your end of year return. The amount you get back from this would depend on your marginal tax rate. Note that in reality your timing will be a little different from this, because your April-June (Q4) BAS and your end of year tax return would be paid for after the 30th of June, so would be claimed in the following financial year’s tax return. I hope this answers your question Tim! My friends and I want to get an A.B.N., register for G.S.T. and then buy a new car to drive for Uber. Being able to depreciate the full cost of the car in the first year as an Uber driver is the goal. So can Uber drivers in Melbourne take advantage of the $20,000 instant write-off for small business assets? Thanks for getting in touch. I’m not sure whether you mean you’re each buying a car, or whether you’re going to buy one car between you. However the answer regarding the $20,000 write-off is the same regardless. Yes, you can absolutely claim the up front write-off. The only requirement is that your business turnover is below $2 million. The tax concession is currently scheduled to close on the 30th of June 2017. Keep in mind though that depending on your level of profits, you may not be able to use all of those tax deductions in the one financial year, and they may instead be rolled forward to be offset against future profits. 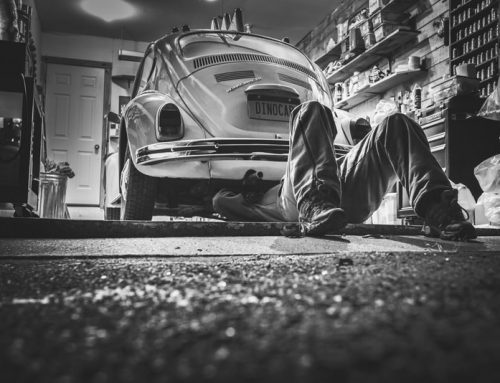 If you’re considering buying the car together, there are a few other tax implications that you need to be aware of, so please get in touch if you’d like further advice. So Uber does not charge any GST to the rider. Uber also pays the toll ex GST and Govia charges the driver the toll inclusive GST. Uber keeps 25% of the fare and although I do not receive this money, I have to pay GST on it! I thought we only pay GST on the amount we do receive in our hands. As a business owner (sole trader), ABN and GST registered, am I allowed to invoice Uber for GST not charged to the rider? After all, as a “contractor”, I should invoice my customer (in this case Uber) for any GST they do not pay me from the riders’ shares. ATO cannot claim that the financial transactions are directly with the rider. Uber is the centralized payment hub for all rider’s reservations and payments accounts. We as driver cannot charge the rider for GST although they ride in Australia, with drivers registered in Australia. I have been contracted by Uber in Brisbane, in an existing office by Uber staff working in Brisbane. Not by a virtual company sitting overseas via Skype. Maybe if all Uber Drivers that are fully ABN and GST registered do send invoices to Uber for the GST they have not received and they have to pay ATO, Uber might consider setting up new rules that would fit in the Australia tax system and doing so will have all the ammunitions to fight the Taxi Association. Hi Marc. Thanks for your comment, I appreciate your point of view. 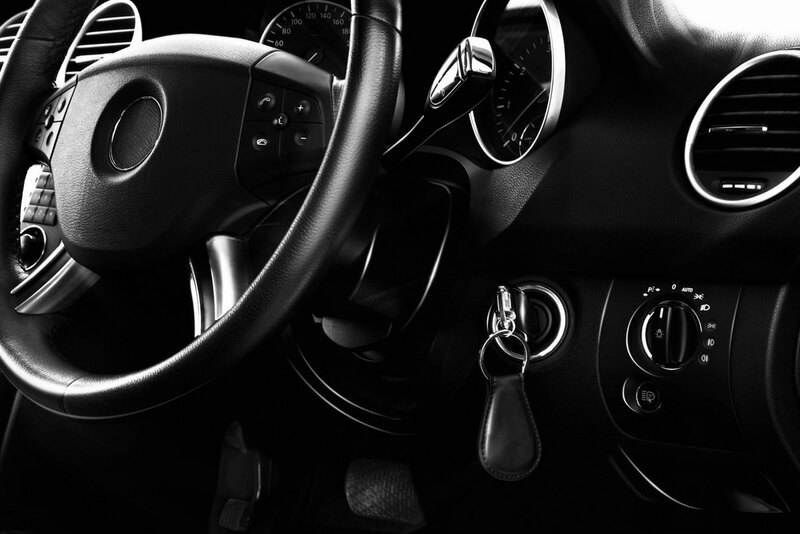 The ATO’s perspective is that your transaction is directly between you, the driver, and your rider. They see Uber as just a software that you each use to speak to each other, a middle man. As a similar example, if you were to advertise your car for sale on a car sales website, that website would be the middle man, the actual transaction would still be between the buyer and the seller. So for Uber, you pay fees to them as the middle man for their assistance, but the main service is performed by you the driver, for the rider. And since you and the rider are both physically in Australia GST will apply to that transaction. Uber is a tax deductible fee in the course of doing business so it is certainly a tax deduction. However since they are not Australian they have not charged you GST on their price, so there is no GST to claim back. I appreciate there are different ways to look at it, but ultimately the ATO set the laws! Im sorry if this sounds a bit silly, but let me get this straight. Uber does not charge the rider for GST, and Neither does the driver!! However the ATO wants the driver to pay back the GST which he never charged the customer? I understand that as a contractor when you have control of charging your clients GST on top of your services, you are than obliged to pay the GST back to the government. However if you are not charging GST, why are you required to pay GST to the government? HI Paul, I see your point, but the driver DOES charge the rider GST, and this is not optional. Uber driving fits within the tax legislation definition of taxi driving, and therefore drivers must register for GST and remit 1/11th of their gross earnings to the ATO. According to the net income calculation, it seems you calculated base on the gross income (including the Uber fee). So I would like to question would the taxable and GST base on the gross income or the net income (the money in your bank account after deducting Uber fee)? I find that it’s easier for drivers to have a ‘rule of thumb’ percentage to put aside that’s based on the net amount they receive in their bank account. That way, they can calculate how much to put aside based on the dollars in their bank account, no need to look back at Uber statements to see what the gross was. From a tax perspective though, GST and income tax are both based on the gross (with the Uber Fee being an income tax deduction). should i buy car under the ABN or as personnal? should i insure car as commercial vehicle or as private? what are the process best way to do to make easier for tax clime as well..
this going to be my second job wt are the tax rate? can you please explain a bit above topics.. Thanks for your questions. 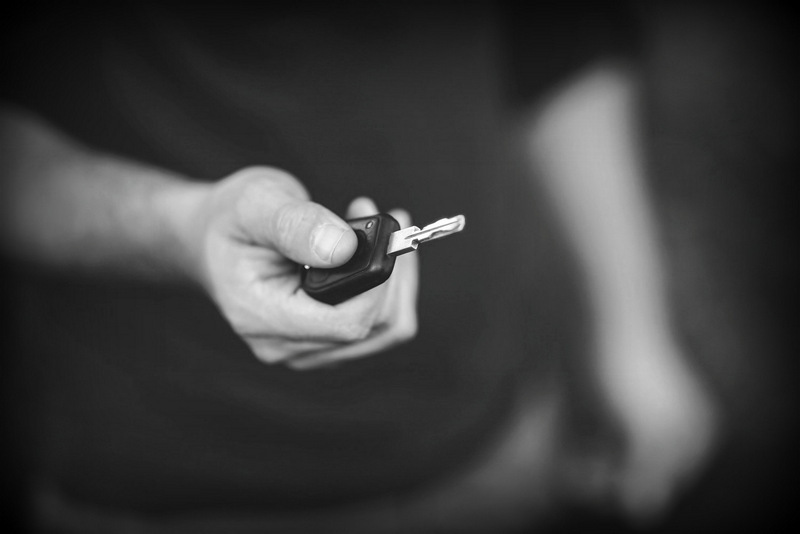 It doesn’t matter whether you quote your ABN to the car dealer or not, you can claim the car purchase either way. However you must be GST Registered on the date you buy the car if you want to claim the GST back. With regards to insurance, the ATO doesn’t care whether your policy is business or private, it’s tax deductible either way. However your insurance company may require you to have a business policy if you’re driving for Uber, and may not cover you if you have an accident and did not tell them beforehand. Every insurance company is different so be sure to ask yours what their Uber conditions are. You’ll find the answers to the rest of your questions on our blog. 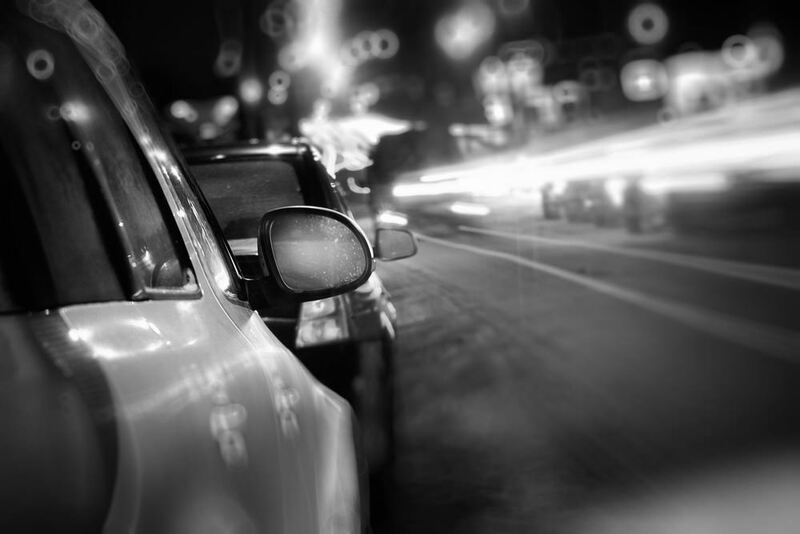 Check our our article on the Seven Steps to Sorting your Uber Tax Obligations. It gives a great overview of all of these topics. All the best with your Uber driving! I’m looking to work Uber a small amount while a student. Do you use the figure ‘Taxable Income’ or ‘Net Taxable Profit’ to know which taxable income bracket you would be in? (After tax deductions can you fall into a lower tax bracket?). It is my understanding that unless your earn more than $70000 from your uber business or any business wether it is part time or not, you don’t need to collect GST nor do you have to be registered for GST. When it comes to tax time, you just add it to your personal tax? Am I wrong in assuming that? Would that be much different for taxes purpose say if i ‘rent’ the car from a dealer to do Uber instead? Assuming i can somehow deduct some of the taxes off the rental as a cost of sales/services? The cost of renting/hiring/leasing a car is tax deductible, and you can claim the GST on that cost as well. Whether it is better to rent or own is different for every person, so that’s not something I can answer here. Remember to claim the tax deduction you must have a logbook. I don;t know where in Australia GST is only 7%??? I love the website! I’d love to see a similar article for UberEats drivers on a bicycle. I don’t have that many expenses such as fuel, how much would I be able to keep in the end? Do drivers on a bicycle have the same ‘rules’ as drivers in a car? I haven’t driven for Uber for a long time (4 months) and made money with other business not claiming GST to customers. Now lodging BAS, can I de-register on the last day I driven Uber and don’t have to pay GST on income I made later? I have a small service company which owns my car and has the Abn and GST. I have some income in that but not enough. I have put all my Uber income into the Company (bank account) as it handles all the expenses and the GST. Is that OK? Or does Uber have to be in my name only and have my own Abn and GST? Should I do a letter or “Board meeting minute” to accept that the Company is doing the Uber work? Hi Chris, the Centrelink forms are a pain, because they ask you to prepare a profit & loss as if you were a much larger business. For most people this means paying accounting fees to get it done for you. To prepare the form you would need to have figures to show what your Uber income and expenses are, so you really need to be driving for at least a few weeks or more so you can get an idea of what these will be. The choice is yours whether this is worthwhile for you! We can certainly help with the forms if you like, provided you’re able to supply us with information about your income and expenses. Feel free to contact us if you decide to go ahead, and I can give you more detail on our pricing and what information we need. Jess. Thanks for a genuinely helpful website. Well done. If I earn below $18,000 from Ubereats which is my sole source of income, do I need to file any tax return or any other documents to any Government agency? I have SUV which I hardly use. Is it possible if I give my car to someone who willing to be Uber driver? Hi Jess, well structured article, most of the questions related to ride sharing are answered automatically. However, i would like to your opinion on it. I have a company registered abn and gst Registration which i obtain to start one one of my venture, which never happened, so my question is can i use the same company abn and gst to do uber and at the same time be a Taxi Service Provider or Booking Service Provider as per the new point to point regulation. Not to mention using same company for both purposes. Thanks Jess it was so kind of you for taking time out and answering my query. I will keep that in mind now. Trust you had a Merry Christmas and wish you a great year ahead. I am an uber driver. I do it part as I am student. I am registered with GST. My question is what is logbook? Where can I get one? Do I need to record all expenses in it? I would like to set up a Pty, ltd company in which I will be the only director and driving for uber will be the main source of revenue. The reason for this is I need to keep my personal income seperate from business profits and also keep seperate my personal affairs. Will uber/ATO allow this type of an arrangement or will the ATO class all company revenue my personal income? Any information you could provide regarding this would be great. I wanna know,on bicycle how much money can be earned on getting 1 delivery. I already have a business so am registered for GST, have an ABN etc. My question is whether I’m better off getting paid by Uber into my personal name or putting it through my business. I have an outstanding tax debt to the ATO in my persoanl name and this is my reason for wanting to drive UBer so I can pay this off. If every dollar I earn from Uber, apart from the GST, gets paid directly to the ATO them is it better to have it paid to me persoanally or into my business and then pay it to the ATO. My car is owned by my business and its covering the monthly car payments and fuel , servicing etc. I would appreciate your thoughts. I’m amazed with what you’re doing. Good on you Jess. Very helpful!! Hi Jess, thanks for the great website. I am thinking of hiring a car for the sole purpose of Uber driving (my car is too old to Uber drive in anymore) As long as I keep a log book to prove the car is only used for work, can I therefore claim all the cost back for GST and to reduce my taxable income? It will be about $199/week so I need to ensure it is worth it. There is also a $275 joining fee would this also be claimable? Great primer and heads-up on the entire Uber gig. Thank you! I am in between jobs and setting up to “try” Uber for only 2 weeks, just to keep myself occupied, if anything. I’ll be leasing a car solely for this purpose. I understand that I’ll have to file a BAS once I start uber-ing. Here’s my question, when I put my uber hat down in 2 weeks, will I need to continue to file the BAS every quarter ad infinitum after the single intra-quarter uber stint? Awesome job and thanks again!